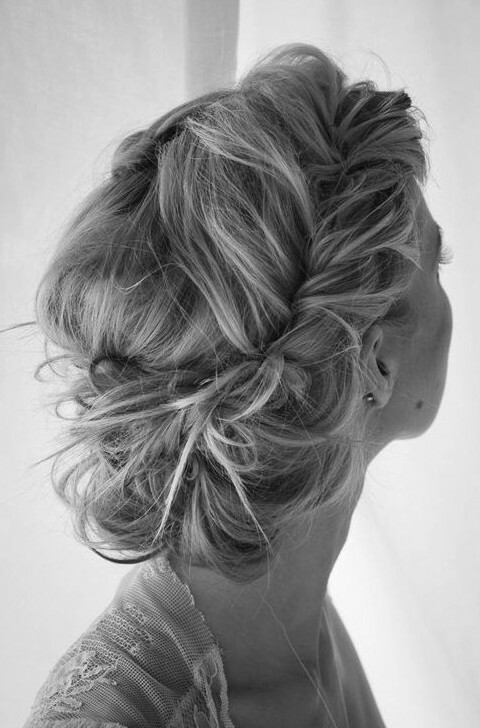 Updated: Want to look an absolute stunner for your wedding, and messy updo is the right answer. 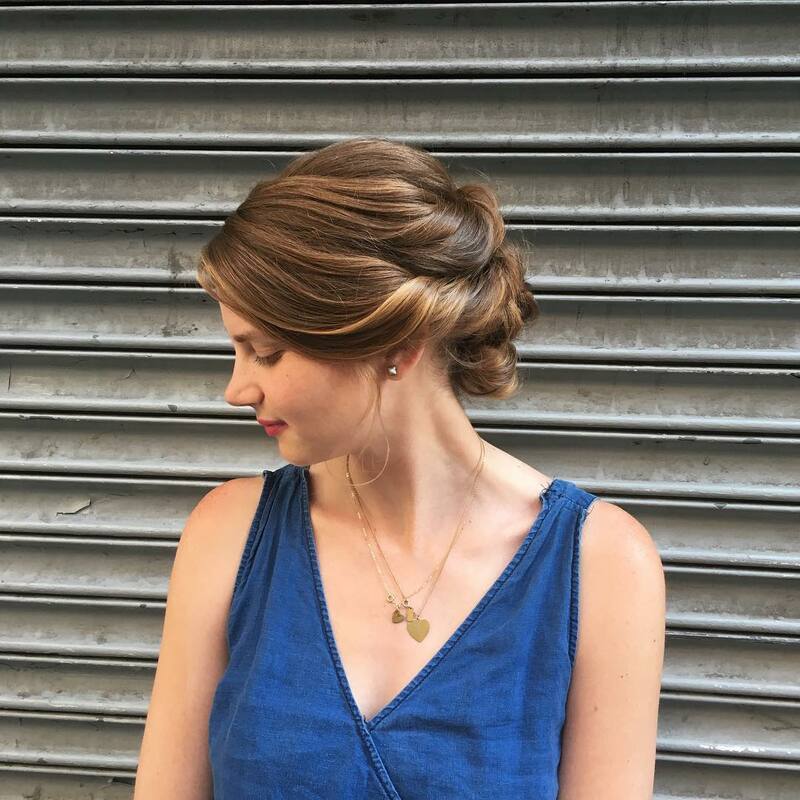 There are many different hairstyles under this category and each one has the ability to transform you into a beautiful princess. 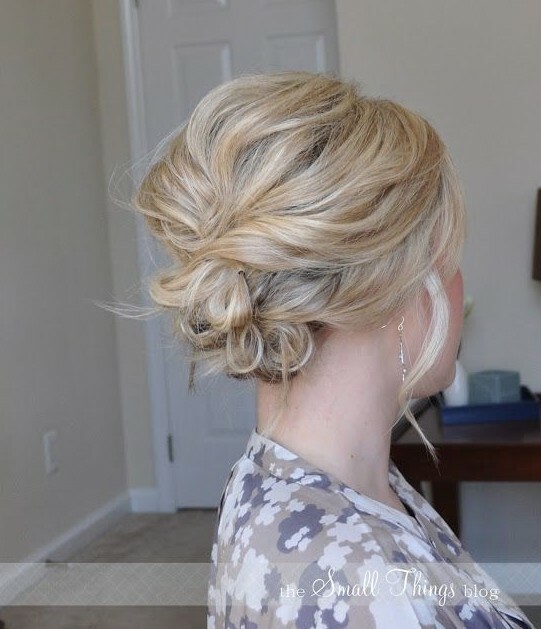 A messy updo is a special hairstyle that women wear for special occasions like weddings. 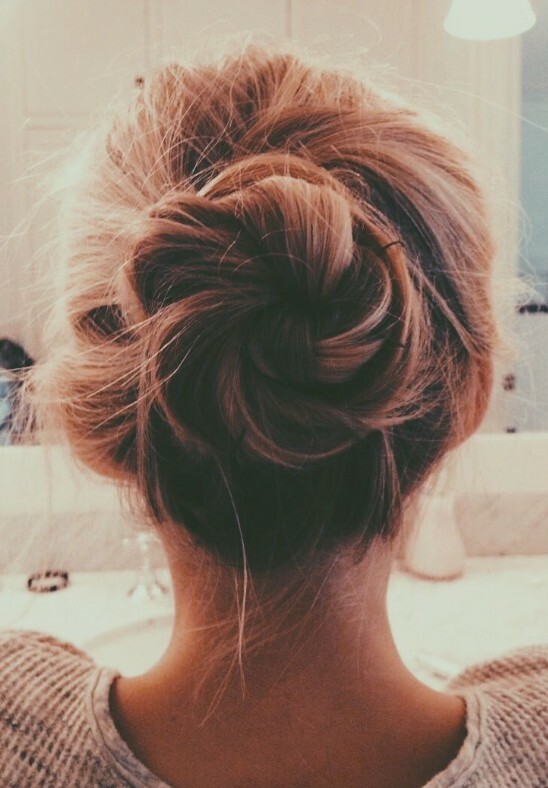 Any messy updo will require you to invest some time and money into this hairstyle. 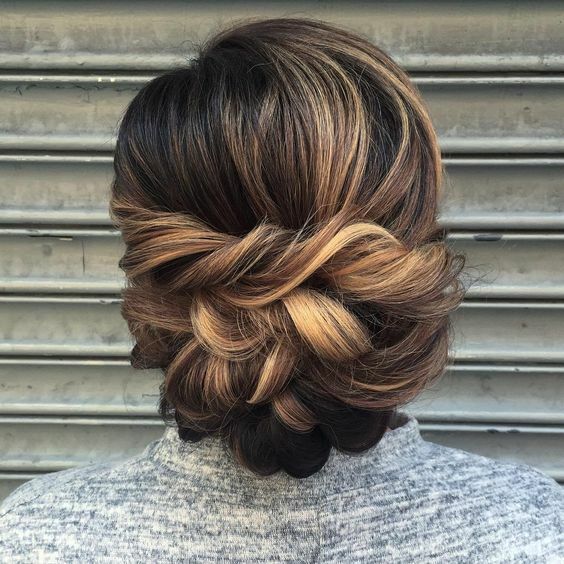 No updo can be done in minutes. At times, your hair will require some special treatment before it can be actually created. 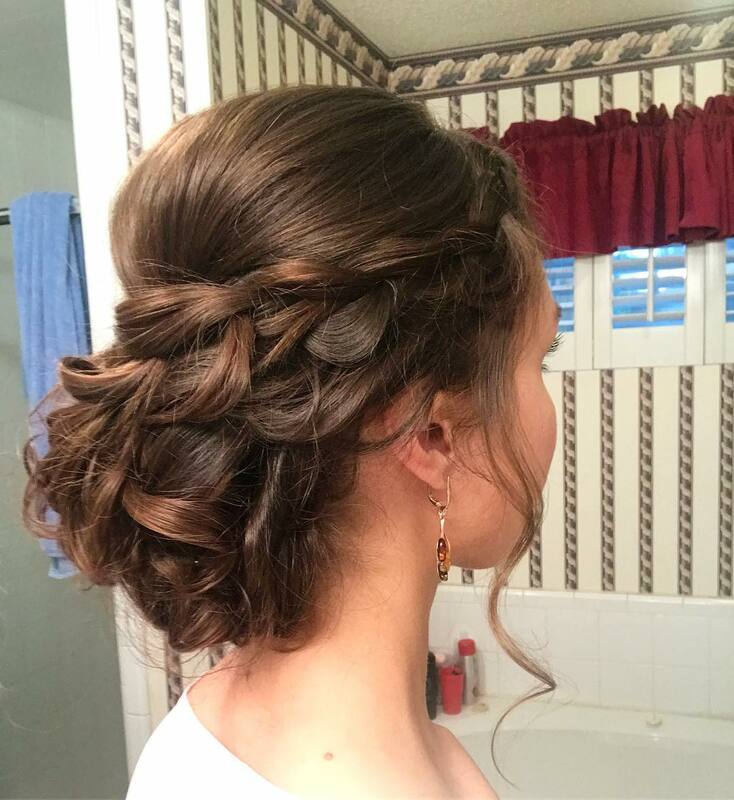 This could involve curling your hair into large or small curls or making your hair wavy, if you have naturally curly hair, you may require straightening it so your updo can be done easily. 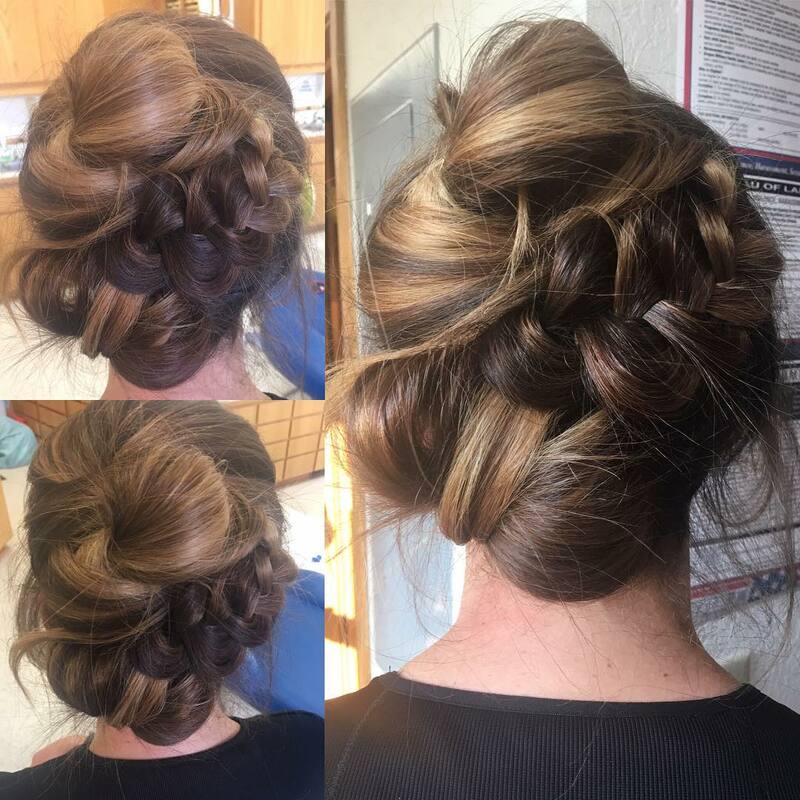 Messy updo takes time and you will require some professional help. 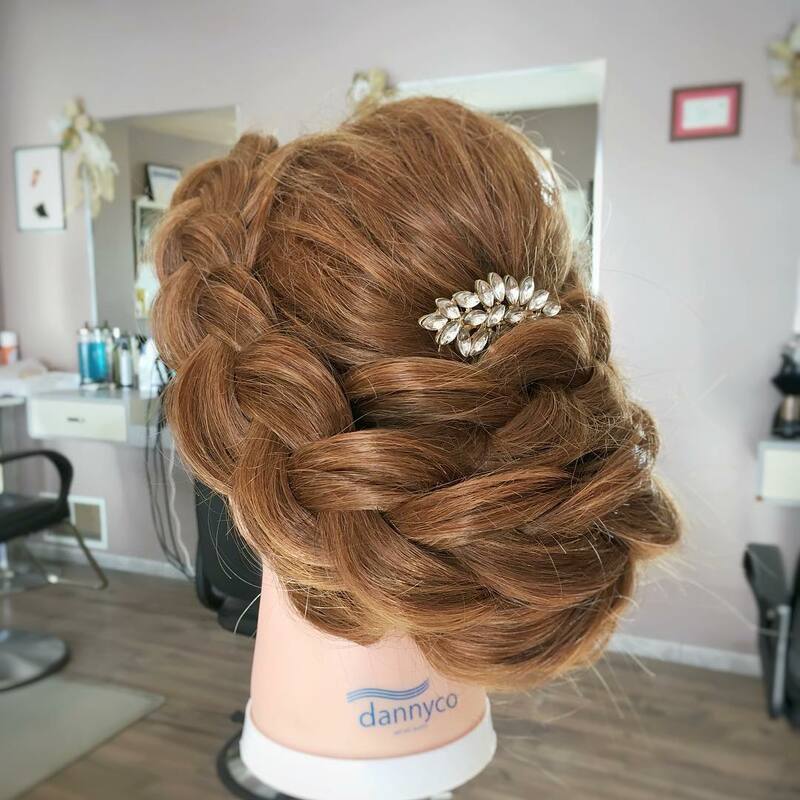 If you do not want to hire professional help, you should actually do this hairstyle to completion at least twice before your wedding for perfection. Hiring help is however the smartest thing to do. This will give you some ease in already tensed environment. 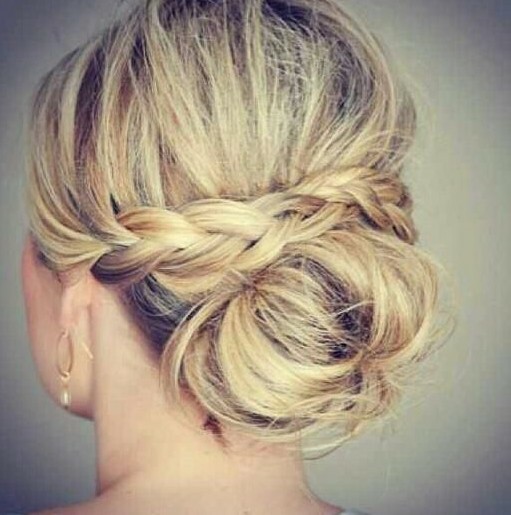 Messy updo looks very graceful, before finalizing a style you need to check out shape of your face. Your hairstyle should match your face. 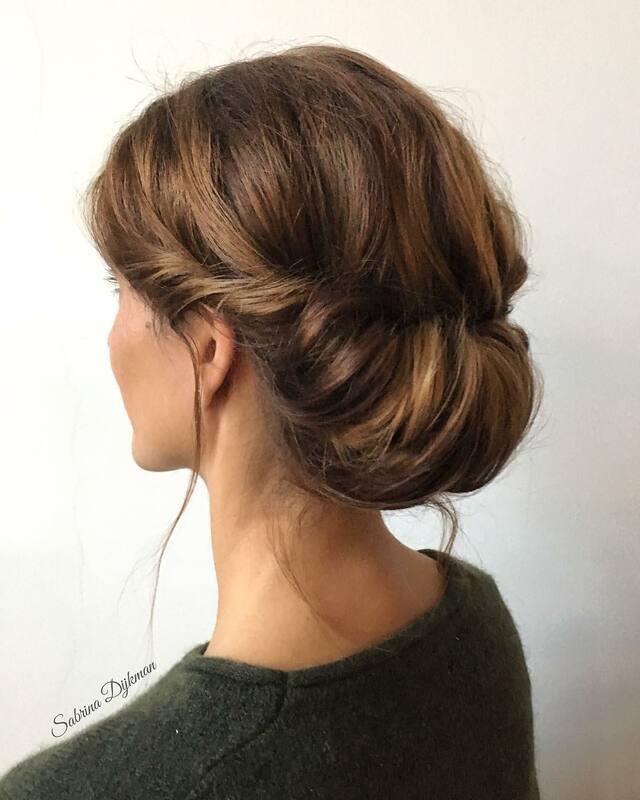 The updo can involve combing the hair back or combing it side ways, or back combing it to give it more life and make it look thicker. 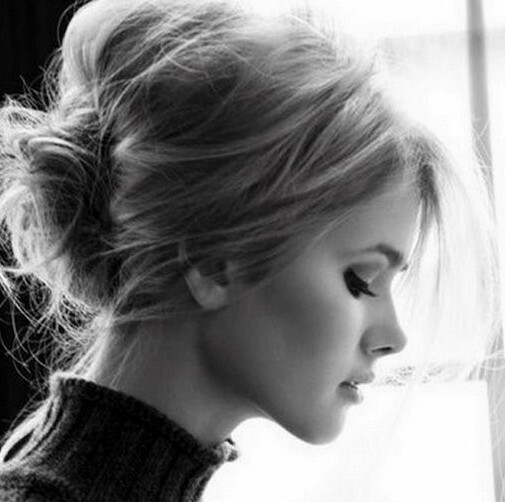 Back combing your hair will also make your look taller. Tightly combed hair looks great on those who have smaller temple height and width. 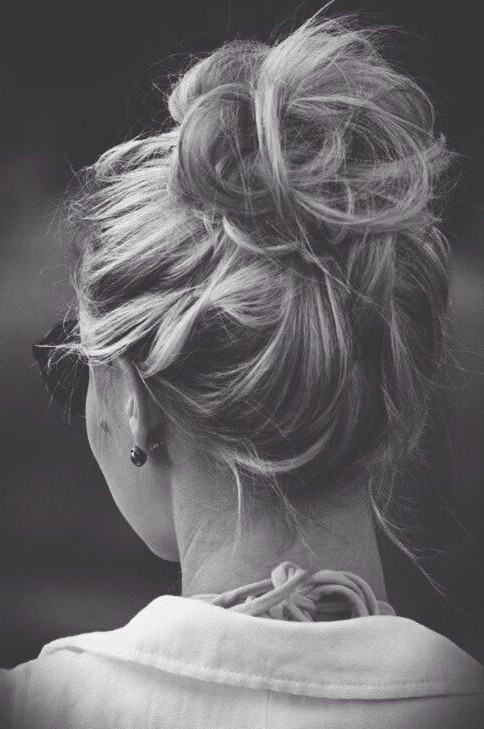 Messy updo does not need very long hair. 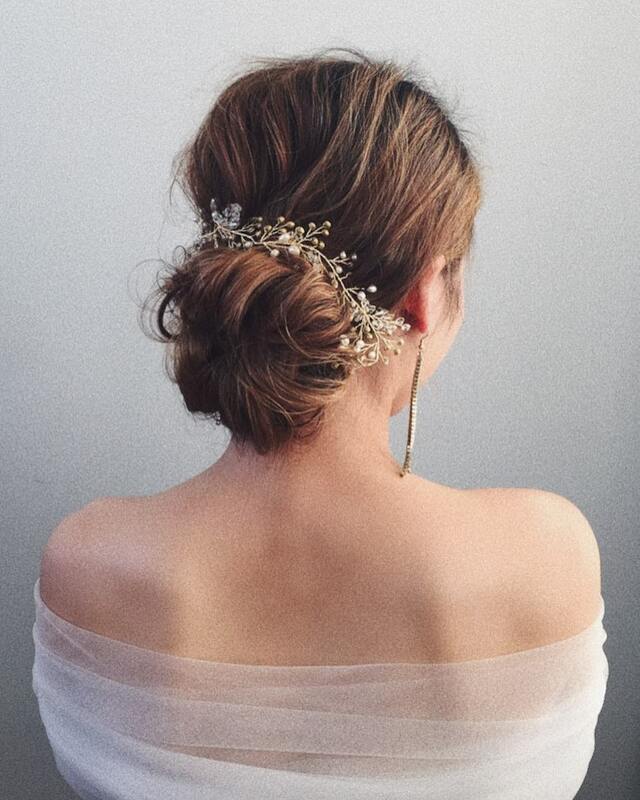 Brides with shoulder length hair too can go in for this updo. 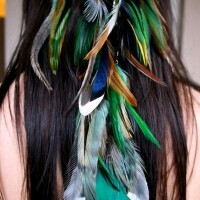 However, you will require certain accessories during this hairdo to make your hair look voluminous and beautiful. You can buff up your hair or use artificial hair. 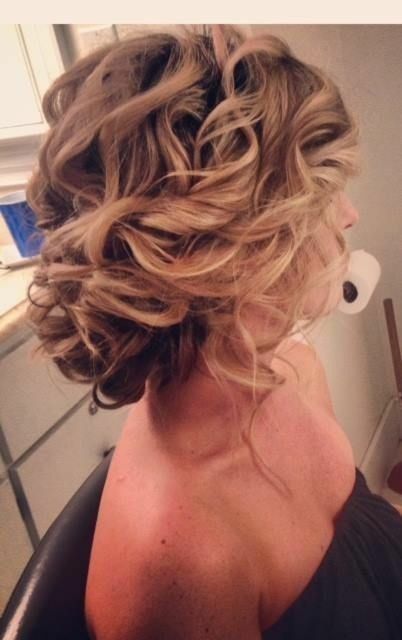 It is normal for brides to use hair extensions. 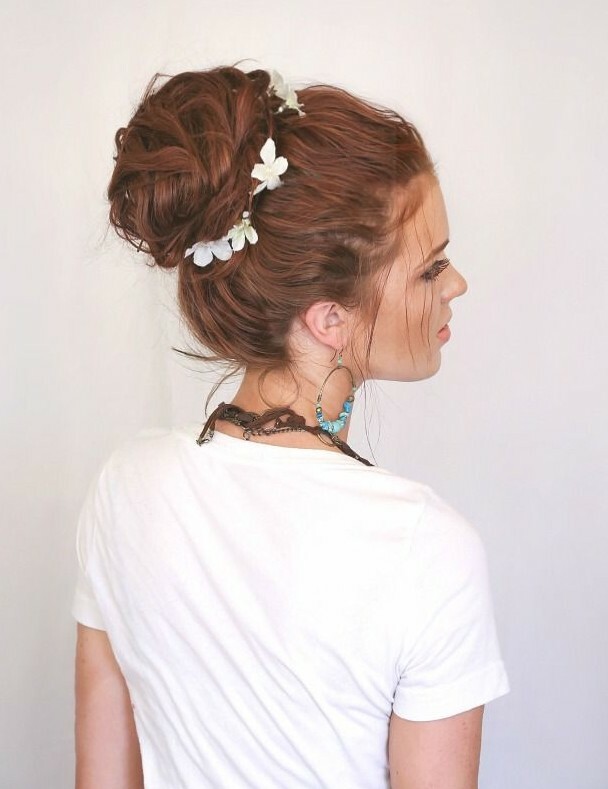 Your messy updo will not be complete without hair accessories. Your hair accessories will range from cloth sash, satin sash to jewelry. 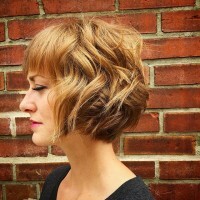 Since you are planning on this particular hairstyle you can always invest a little further. 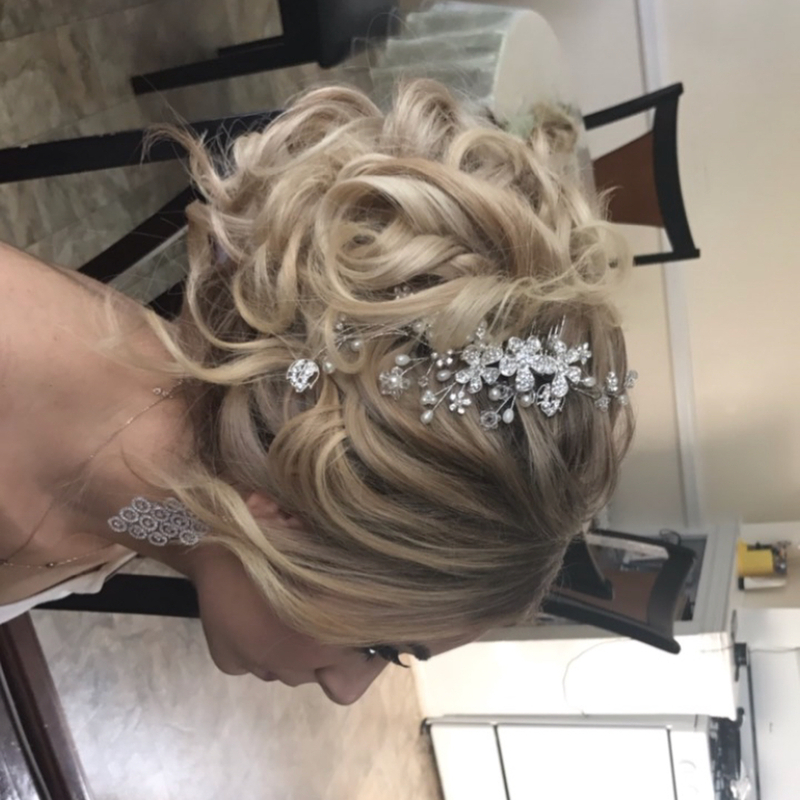 You can plan and select your hair accessories in advance. You can ensure that these are unique and special. There are many options in hair accessories. Pearls and semi precious stones are some of the favorite accessories used by brides. A hairdo always supports a tiara. You look not just elegant but rather queenly in the tiara. You need to make sure that the tiara is special and you can eliminate all other accessories if you are wearing this one. Some of the most expensive ones are made from precious stones. 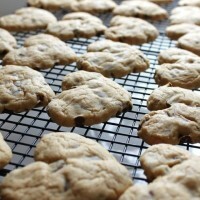 At times, these family heirlooms are loaned to the bride for the occasion. Messy updo requires certain amount of expertise. This hairstyle needs to be done with a lot of care and attention. After it is completed the bride needs to take care of it since it can turn into a mess easily. 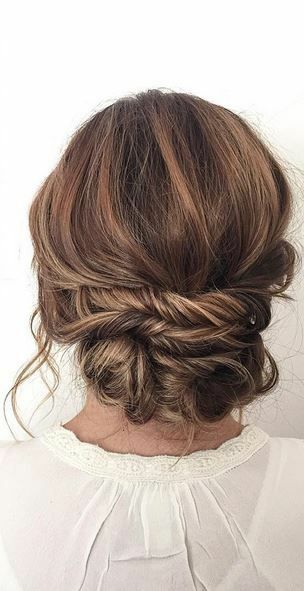 Also those with extra silky hair should ensure proper reinforcement loose strands would make your messy updo lose its charm. 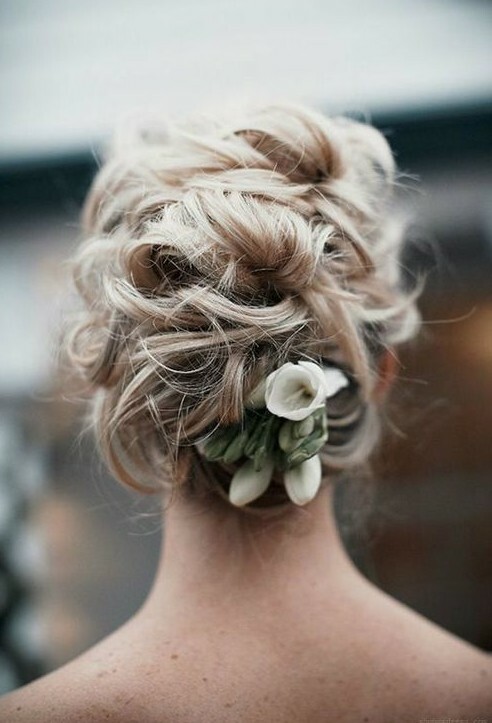 Do you like these romantic wedding updos? 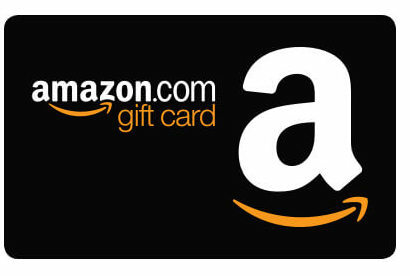 Find more on our site using the search form.